It’s a new year filled with excitement and opportunity for AHEPPP! I’m writing to provide you some important updates about our association. AHEPPP has made incredible progress in a short amount of time. Our association has grown to include 145 institutions and over 300 members in just seven years. We begin 2015 celebrating the strength of our association as well as new partnerships with NODA and ACPA. We continue to explore ways to serve our members and develop additional partnerships in an effort to connect with other professionals and promote informed parent and family involvement in support of student success. The Board of Directors will meet in Atlanta later this month for a strategic planning session. The time is right for us to reflect on our mission and vision, and to develop a comprehensive plan for moving our association forward in a meaningful way by building on the strong foundation established by the founding members. As we embark on this process, know that we welcome your input. If you have any comments or suggestions for ways that AHEPPP can better serve you, please send a note to me via email at [email protected] I would appreciate hearing from you by February 20. The Board will be mindful of your feedback as we work to improve our association and plan for the future. We‘ve come a long way since our founding in April of 2008, but we are just getting started. I hope you share my excitement for all we have to look forward to—including a fantastic conference in Savannah, Georgia later this year. 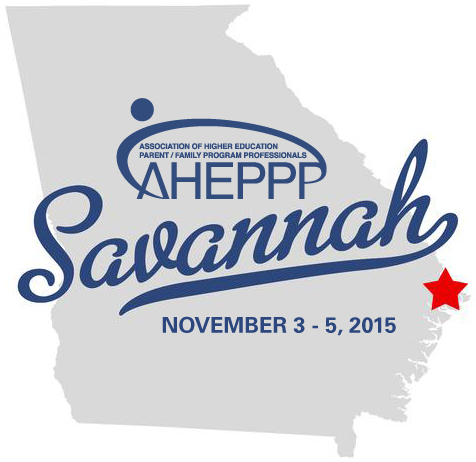 Please join us from November 3-5, 2015 in charming Savannah, Georgia for our 4th AHEPPP Conference! The AHEPPP 2015 Conference will be held at the beautiful Mansion on Forsyth Park. We are thrilled to announce the AHEPPP 2015 Conference Team has been selected and they are excited to plan a fabulous conference for you in Savannah. The AHEPPP 2015 Conference Team will be reaching out to the AHEPPP membership in the coming months to seek volunteers for various needs such as program submission reviewers, awards submission reviewers, and volunteers for the conference itself in Savannah! We can’t wait to see everyone in Savannah! Help promote AHEPPP at ACPA. Are you planning to attend the ACPA Convention in Tampa this year? We’d love to see you! Volunteers are requested for staffing the AHEPPP booth at ACPA alongside Lindsay, the AHEPPP coordinator. If you’re planning on attending, please consider volunteering for 1-2 hour shift to engage current members, recruit new members and share AHEPPP with the greater Student Affairs community. Be sure to stop by the AHEPPP table for some fun SWAG too! Please visit our sign-up site for more information. 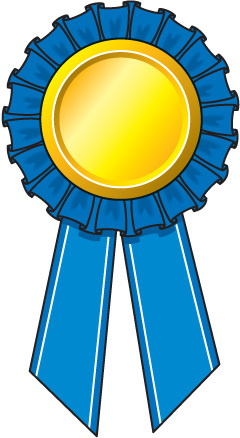 During our Annual Conference we are pleased to award outstanding contributions to the field! Please enjoy learning from the exemplary programs and communications from our 2014 winners. Think your office has an innovative project? Apply for a 2015 AHEPPP Award! Details coming soon. Congratulations to the 2014 AHEPPP Award Winners! As a busy professional, you may not always make the time to read every article about parents or catch every new resource available to families, so we've included a few from we think are worth reading.